After 2 days of cycling on the Shimanami Kaido, after I got down from the Kurushima Kaikyo Bridge I could feel the end in sight. I definitely couldn’t see it as I still had a 5km trip to get to the station, but it was in sight. In Imabari, the course is not as good as when I was in Onomichi. The station is pretty far from the bridge and the route is pretty boring, to be honest. Be very careful as in any long road trip, that last spurt is where problems happen more often. The initial section after the approach to the Kurushima Kaikyo Bridge was a pretty short one. It is on a 2 lane road and the sidewalk was decent enough. You then merge onto a main road with a lot of cars going by. 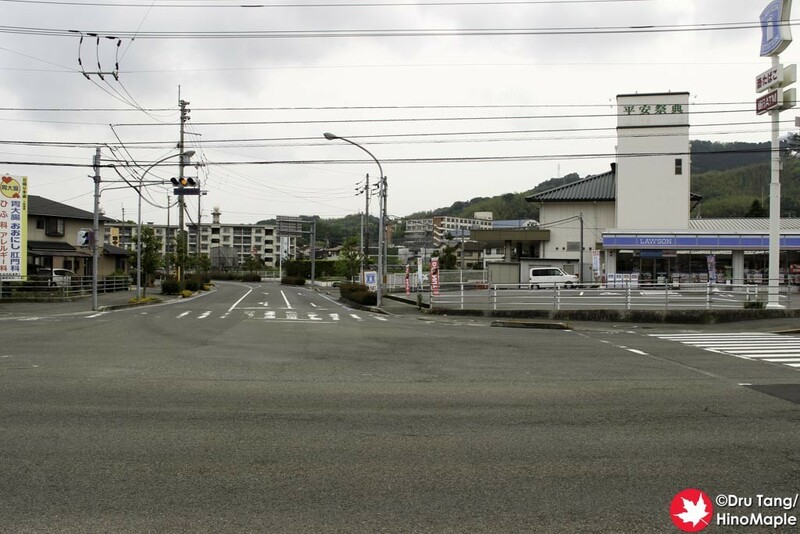 Unlike the main road on Oshima, the main route in Imabari is actually pretty sparse when it came to fellow cyclists. It was no different than cycling in the city with the other people, but the sidewalk was nice and wide. The only thing you really need to be careful of is that there is a single turn on the journey. 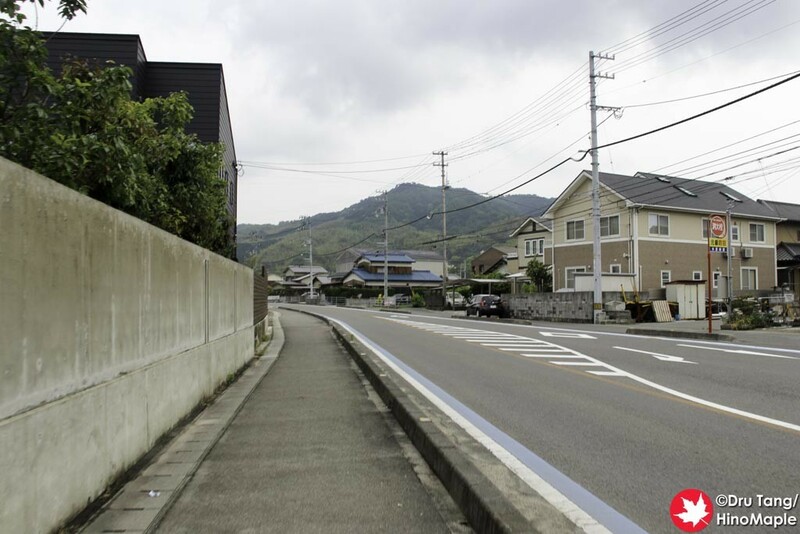 After hitting a short hill, you head back down and soon enough you will see a Lawson’s convenience store on the right. 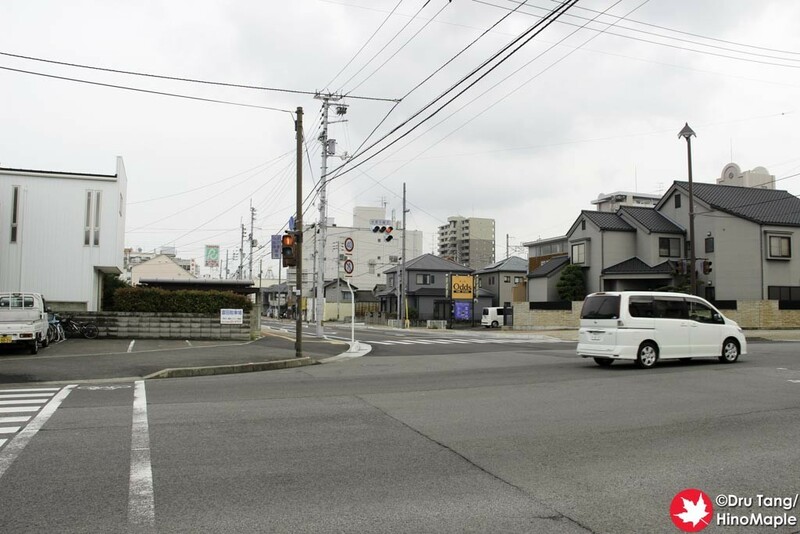 There is a sign telling you to turn right and the blue lines that had followed you from Onomichi also turn right. If you aren’t paying attention, you will miss it. While I saw the sign, I didn’t really see the blue lines go right, and “A” did the opposite. Thankfully Google Street View allowed me to scout this area ahead of time and I wasn’t fazed by the turn. Once you make the turn, the street becomes relatively quiet again. 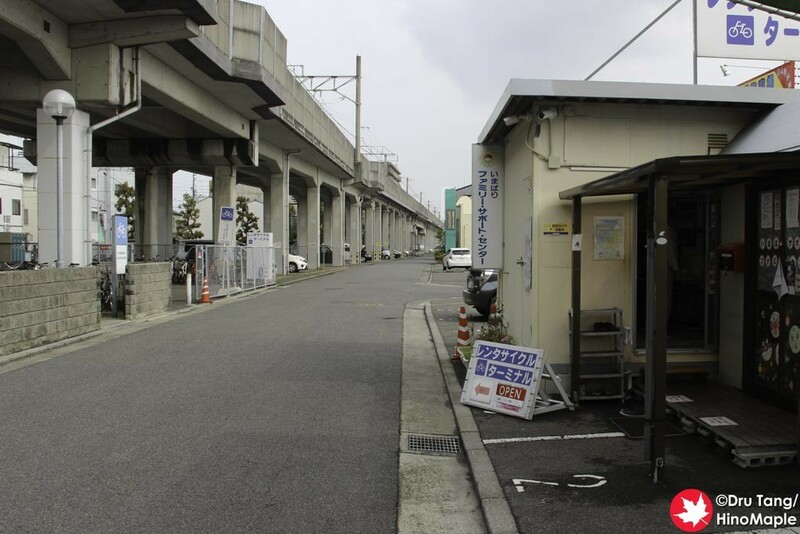 You come up to the main train line which takes you all the way to the station. The station itself is such a nondescript station that I nearly missed it. The blue line just ends at the station and I nearly crossed in front of a taxi at the crosswalk to get to the station. I was in no danger as I was prepared to stop either way, but the taxi driver was really kind enough to let us pass. 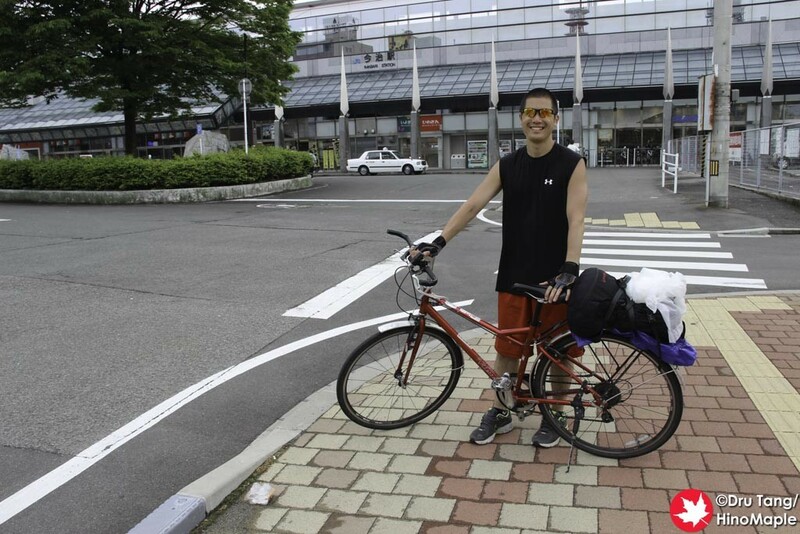 Once at Imabari Station, we had to take our photos in front of the station with our bikes before heading to the bicycle terminal. I was really worried about finding the terminal correctly as there was no Street View to help me map the area out. As you pass the station, just follow the signs to the terminal. You have to use a small access path for pedestrians to get to the south side of the station but it is pretty easy. 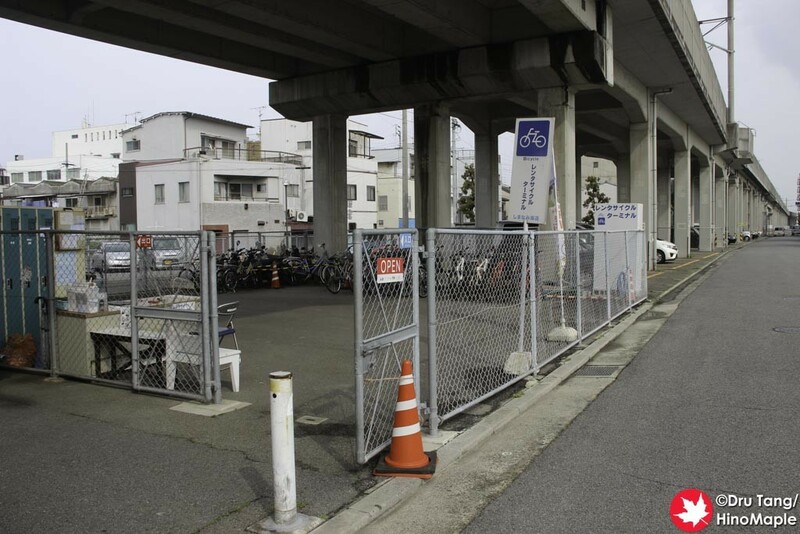 Once we got to the bicycle terminal building, it was really simple to just go there, hand our bikes in, and then work on what to do next. We had about 1 hour before we met up with “I” and I really needed to freshen up. We walked around and found the washrooms on the south side. Unfortunately the washroom was really dirty, by Japanese standards, so I didn’t feel like washing up there. I also had a few things I wanted to throw away as I was carrying my backpack and it was heavy and bulky. 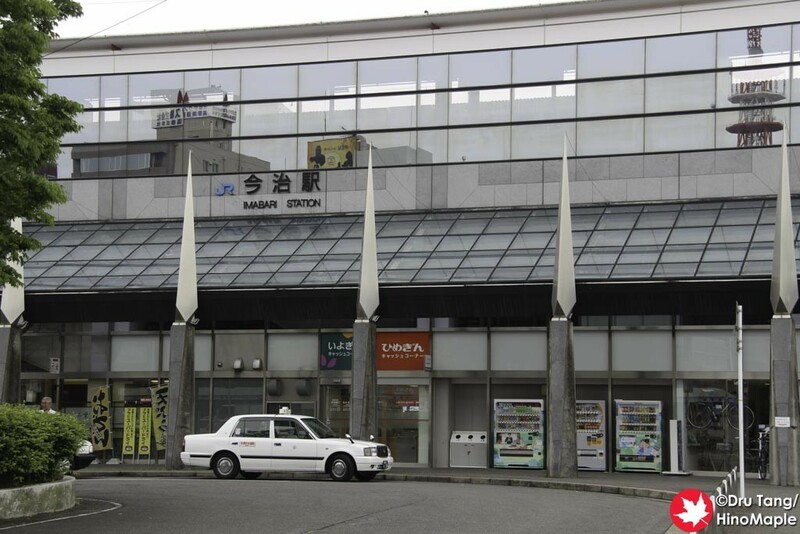 I ended up going to the Giant shop and paying to take a shower before throwing my things away at the station. This trip was epic, to say the least. I had the time of my life and memories to last into the afterlife. This trip was on my bucket list for the last few years and I had so much fun that I just might do it again if the right person asks and it is at the right time. There are a few things I would change but not a lot. If you are considering taking on this task, do it. If you are completely out of shape, you may not want to do it, but if you are relatively healthy and in shape, by all means do it as you will have the time of your life! 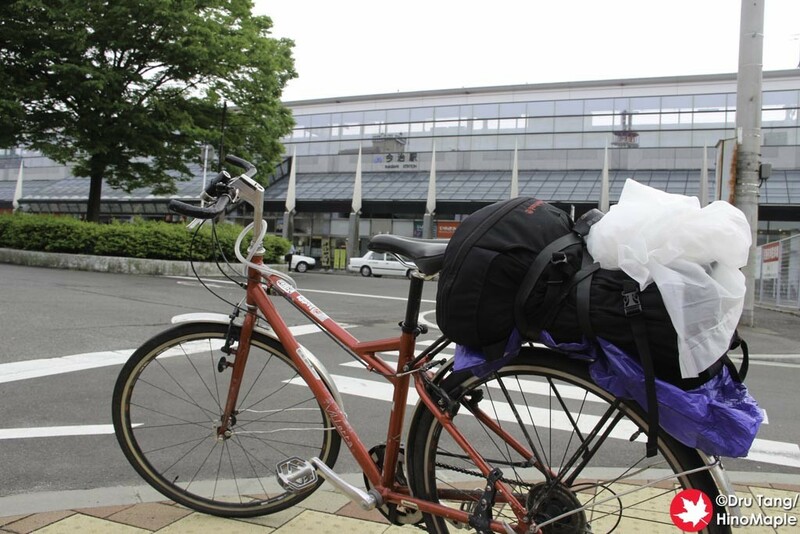 This entry was posted in Shikoku and tagged Bicycle Rental Terminal, Imabari, Imabari Station, japan, Shimanami Kaido, Shimanamikaido by Dru. Bookmark the permalink.